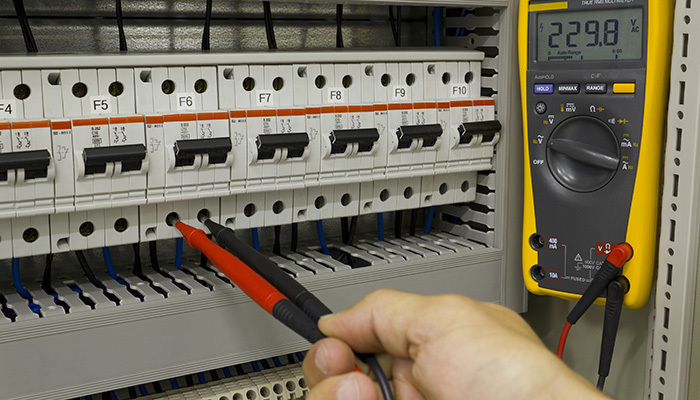 We provide electrical inspection and fixed wire testing services in Alfreton and surrounding areas. We ensure that your home is electrically safe. From air conditioning to main panels and distribution boards, all electrical installations need to be inspected to ensure safety. At Alfreton Electrics Ltd, we will perform electrical tests on all the systems on your property. If we find a fault after testing, then we will offer you the right solution. Get in touch with us to get fixed wire testing done by our team. We offer a speedy service in Alfreton and across Derbyshire. Get in touch with us if you need any help with your electrics. We offer our services in Alfreton and the surrounding areas of Derbyshire. Needed two sockets changing from single to double sockets. Jez came round, cut out the plasterboard, fitted two double Smart sockets and had us back up and running super quick. Great service, very happy with the cost. Great service. Prompt responses to emails/queries. Friendly helpful, willing to sort little problems out. Highly recommended. Many thanks to Jez for the amazingly fast turnaround time on supplying and fitting the electric towel rail in my bathroom. Excellent work - many thanks! Jez arrived on time to investigate a problem with my solar inverter. Quick response and reasonable rates. Excellent service, very pleased with my consumer unit. Would recommend .